There was a little teeny tiny peony bush stranded under the magnolia tree on the east side of our house. It never grew very much, so last summer I finally transplanted it to a better place. This May, it has bloomed brilliantly in its new home. I love peonies. The buds are so nice and plump, and little ants love crawling all over their curves. When they finally bloom, peonies are an explosion of texture and color. Peonies remind me of growing up in a small, rural town in the 70′s. 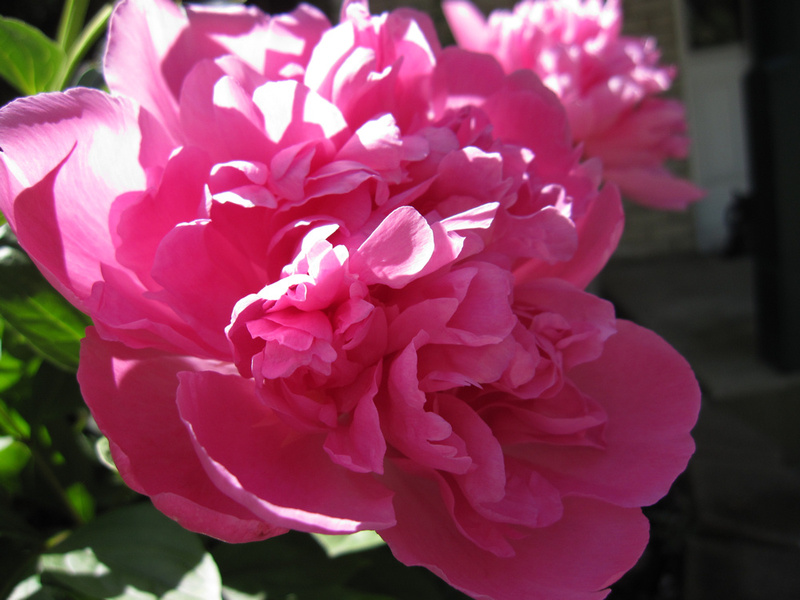 The peonies would always be in bloom on Memorial Day, and my sister and I would go to the neighbor’s yard to cut the full, red blooms, wrap wet paper towels around the stems, and surround the paper towel with a plastic baggie. Then, my family would get in the car and drive out to the cemetery in the country. It was a beautiful cemetery, green and surrounded by trees. We would put the flowers and maybe a small flag on the graves of soldiers. My sister and I would run around the gravestones as people gathered for a Memorial Day service. Veterans wore their uniforms. I can still hear the gun salute echoing among the gravestones, as we remembered those who gave their lives for our country. I wonder if there will be a gathering at the cemetery outside of that small town today. My family moved to the suburbs in the early 80′s, so I doubt my little brother and sister remember how we used to commemorate Memorial Day. Even though we will not be carrying flowers to the grave of a soldier, I will remember all those who fought for our freedom. This post was really great to see in here now we celebrate the heroes of our country.. I still think about those bouquets every Memorial Day, too. Makes you remember that little things can make big impressions on kids. Your peony photo is gorgeous. Mine are just beginning to bloom. I love how peonies are so "reliable." 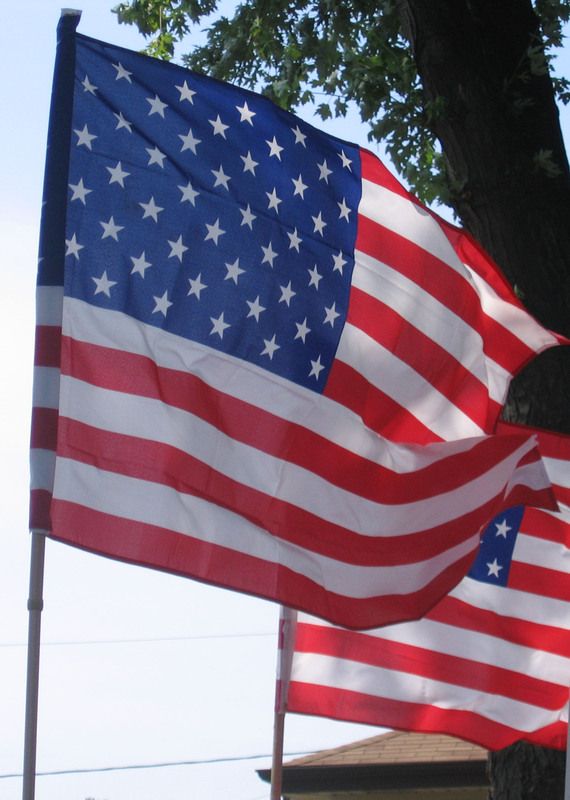 Thanks for sharing your memories about how you spent Memorial Day when you were young. In my small hometown we used to watch a parade. It's so important to remember all those who served and are serving today. Thanks for this post reminding us to do just that.